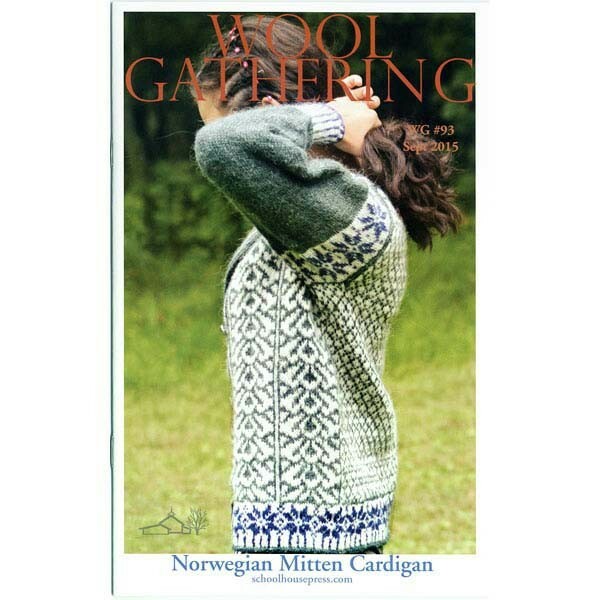 Wool Gathering #93 features Meg's Norwegian Mitten Cardigan (a follow up to her Latvian Mitten Cardigan SPP#34). Knitted in the round from the lower edge with a steek at center-front, a modified drop-shoulder steek at the underarms, shaped neck steek, and optional shoulder shaping. 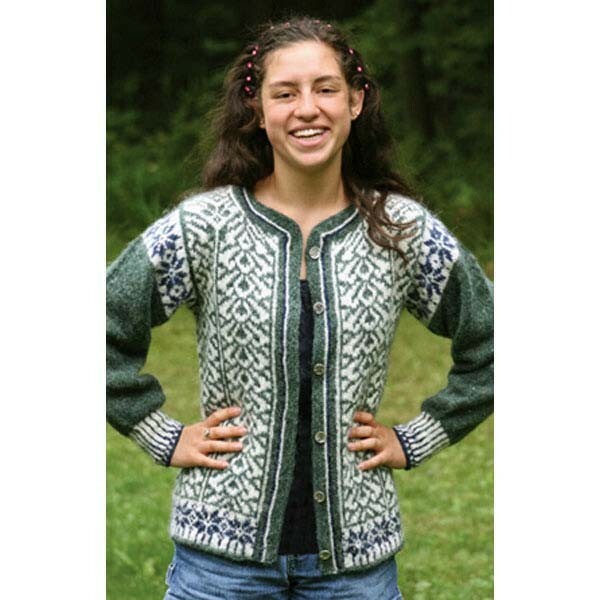 The pattern follows Elizabeth Zimmermann's chart for her Norwegian Mittens in Knitting Around, with a different pattern fore and aft. Choose a wide garter-stitch border, or several applications of I-Cord. This model was knitted using 3 shades of single-strand Unspun Icelandic. You can achieve an identical gauge with our Jamieson's Shetland Spindrift or Blackberry Ridge wool.